When work with a Certainteed master shingle roofer this means you are working with a roofing contractor with the highest standards of excellence, quality and shingle roofing knowledge. Through rigorous testing conducted by Certainteed a master shingle roofer has proven their shingle installation abilities along with proof of workers compensations and liability insurance. If you need a roof system installed on your home with extended warranty coverage call Kincaide Construction for a free estimate at 313-308-1112. Kincaide Construction's crews are reliable and dependable. Whether it's residential, commercial metal roofing or flat roofing we stand behind our work and products with warranties, guarantees and we are fully dedicated to customer service. At Kincaide Construction, our roofers are thoroughly trained roofing professionals, and they are able to execute complex roofing procedures quickly, safely, and correctly. 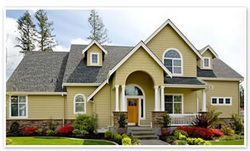 When looking for roofing contractors in Detroit Michigan you need dependable, reliable service with upfront pricing. At Kincaide Construction we offer just that and more. A roof repair is not just to protect your home but your family. We have been proudly serving Detroit and SE Michigan for over 20 years. Detroit Roofing Contractors MI - Roof Repair & Installation | Expert Roofers with 20 years experience.